P.A.N. pre-cooked corn meal is a unique product made out of pure corn. It is gluten-free and does not use any preservatives, artificial colors or flavorings as it is the result of a chemical-free production process. 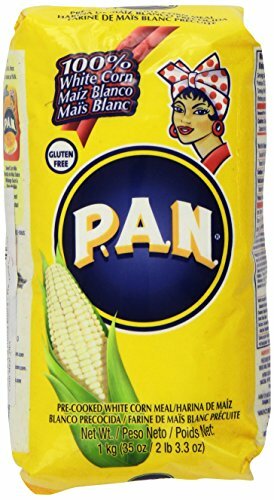 Just by adding water, P.A.N makes instant corn dough, creating a variety of delicious and easy corn based dishes that can be adapted to different tastes and customs. If you have any questions about this product by PAN, contact us by completing and submitting the form below. If you are looking for a specif part number, please include it with your message.